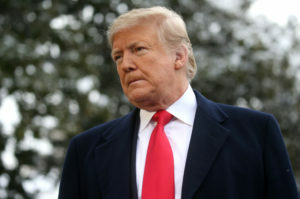 President Donald Trump has canceled the U.S. delegation’s trip later this month to an economic forum in Davos, Switzerland. It was the latest development in Thursday’s back-and-forth over whether lawmakers and Trump administration officials should travel during the partial government shutdown. Earlier, Trump postponed House Speaker Nancy Pelosi’s trip to Afghanistan. That was in response to Pelosi asking Trump to postpone his State of the Union address to the nation — set for Jan. 29 — until the government reopens.